Long time no see! I haven’t made one of these in a while (shame on me) but I found some entrepreneurs too good to pass up on! Today we’re going to be talking with the power duo behind a digital marketing agency called Merge. 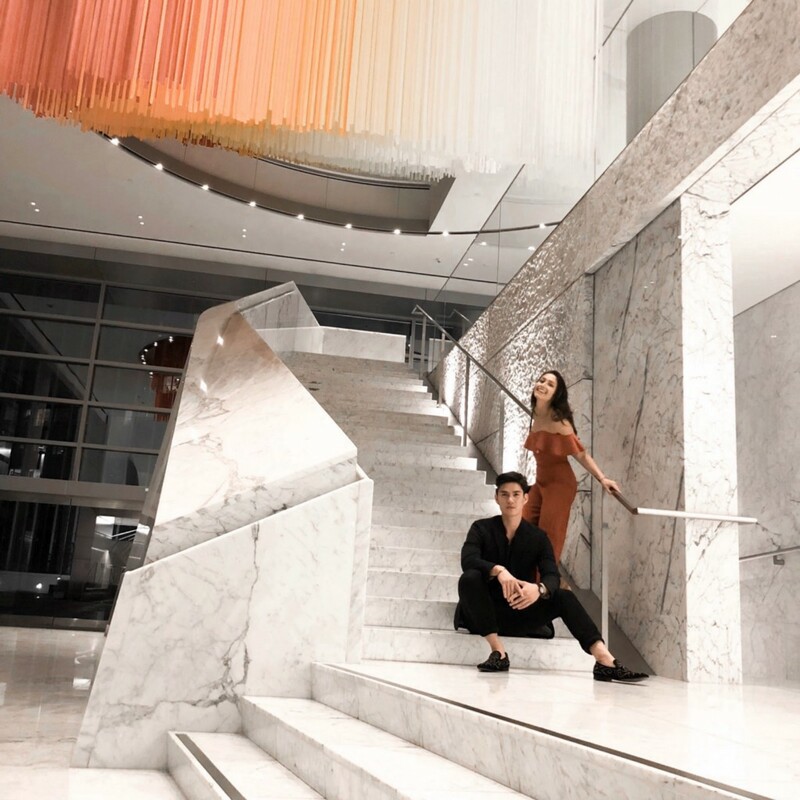 They are none other than Minh Jeffrey Lê and Jessica Henson, entrepreneurs with one main goal in mind, helping others bring value to the world in the best way possible while implementing strategies to help brands monetize. Enough with the introductions, why don’t we start talking about what you came here for? Together, we always loved to collaborate and build with each other and at the beginning, we wanted to utilize our experience in e-commerce, video production, and influencer traffic to start an athleisure brand. We had to find a way to best spend every single marketing dollar because as a startup without any investor backing, we had to find a way to reach as many people as possible with the least amount of money possible. However, within a few months, we realized the knowledge we had in digital marketing gave much more value to the market than us building an apparel company. The constant throughout all our research was social media. In recent years, the use of social media platforms has become mandatory. Even the most profitable and successful brands would only see an opportunity to gain exposure, profit, and validity through the implementation of digital marketing platforms. Because of its universal usage by consumers and brands, social media is one of the most powerful and effective channels to connect with your audience. As we began to experiment, iterate, and learn more about the social media space, we became immersed in the modern age of content distribution. It became such a fascinating topic whenever we would discuss with our entrepreneurial peers the ins and outs of social media platforms and the lack of correct utilization of them. Many understood the importance of them, but only focused on vanity metrics such as the follower count, forgetting about building an attentive audience that engages and begins an authentic dialogue. We became more enthralled with social media strategies and optimization. It was a natural pivot. 2. What’s a Problem With Social Media You’re Seeing on a Regular Basis? Too many people are scared of rejection that they play it safe. Playing it safe, is a safe way to fail. What we mean by that is that there are too many personal brands and businesses that are afraid to offend people. It’s sad because many of these individuals are so unique and creative in reality, but when it comes to their social presence, none of their true identities are shown in their content. The outcome? Boring. It took us around a year to transition out of the “I’m so cool” method of posting as that really did not stick with anyone. Businesses share the same issue as their voice is too broad as they attempt to appeal to everyone and anyone. They reach more people, but no one is able to fully identify. Quite a paradox. As we were not growing our audiences on Instagram, we began to ask ourselves questions that would help us grow our social proof (which can be defined as a psychological phenomenon of social influence, where people assume the actions of large amounts of other people represent the right behavior/action) and increase our clientele. What value am I giving? Would I want to consume my own content if I was a stranger? Is my content replaceable? Answer these questions periodically and understand what you are an expert in. Hone into that skillset that you are an expert in (or learning about) and give high value consistently. Don’t just play it safe, put yourself out there. Because of the internet, everyone is online and has a personal brand. If it’s unavoidable, why not create your brand the way you want to? 3. Which Social Media Platform Feels Underrated To You? Why? Ironically, I would say it’s Facebook, even though it has the most users on its platform. The hottest one right now, is definitely Instagram, and why wouldn’t it be? It is fast enough to appeal to the short attention span of its users and its visual content. The fact of the matter still remains that Facebook still contains the most users as well as the most data out of any social media platform. Facebook advertisement alongside influencer advertisement are the two most powerful marketing tools when it comes to real ROI (return on investment). However, the biggest differentiator is that Facebook has something called a Facebook pixel where it can acquire extensive knowledge about every individual that visits your site and can create custom audiences which you can retarget in the future. It tells you what works and what doesn’t. With practice and some strategic Facebook campaigns, we can consistently turn a client’s $1 into $3, $5, or $10 in revenue. Now imagine multiplying that with a $10,000 ad spend. Being able to provide that value is not seen in any other social media platform. 4. What’s The Biggest Social Media Tip You Can Give People Reading This? Social media is tricky because it exposes you. For some it comes easier, for others, they do not want to feel judged, critiqued, or cause any kind of disruption. These kinds of people want their content and their work to be perfect. But just like anything in life, what we think is the right move, may not happen to be so, in hindsight. So create a plan that you think is strong and gives value. Stick to that plan for a set amount of days even if you start to see it not working as well as you wanted to (I recommend 30 days). Once that set period is over, improve/change the parts that did not work so well and emphasize the strategies that worked well! Plan, execute, learn, + repeat. If you loved what Minh and Jessica talked about, why not follow them on Instagram (which is where I met them) and see what they are up to? Merging Influence and Value. A Talk With Social Media Pros #5 was originally published in Marketing And Growth Hacking on Medium, where people are continuing the conversation by highlighting and responding to this story. Biz Tips: 5 Social Media Marketing Tips for Blogging Beginners.